Macbook Pro | The Small Wave. I’m not going to dwell on the base MacBook that’s now $999. It was a fine machine yesterday, and for $100 less it still is. The lower price may also appeal especially to schools, etc. that may be buying in bulk. UPDATED: The New Apple MacBook Pros: What’s With the One in the Middle? With the new MacBook Pros Apple released yesterday, I’m left wondering about the purpose of the middle model. 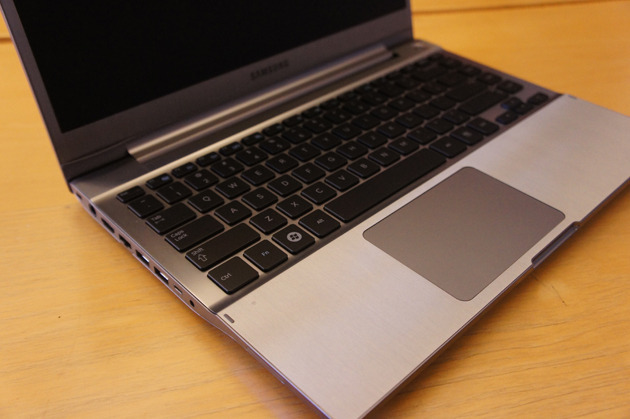 The third model is the 17-inch, so there’s a clear difference you’re paying for there. But I’m just not seeing a reason to move up from the base model to the one in the middle. This is unusual in Apple’s line-up, where the middle model is usually the most bang for the buck. 2.5GHz processor instead of 2.4. 250GB drive instead of 200. 512MB SDRAM instead of 256. The processor difference is non-existent — even the most ardent MBP supporter wouldn’t claim a noticeable difference between 2.4 and 2.5. And you can upgrade to the 250GB drive for 50 bucks. So it would seem one is paying $450 for the extra 256MB of video RAM. I certainly don’t want to downplay video performance, but we’re not talking about a better graphics engine with more memory, we’re talking about the same GPU. Now that the base model has some “breathing room” with 256MB, will double that make a huge difference? More specifically, will it make $450 worth of difference? The listed support for external monitors is the same as for the old models, so there’s no advantage there. On the flip side, the $1,999 MacBook Pro is now an absolute killer pro laptop! If all you care about is the larger cache, the $500 upgrade cost is a tough pill to swallow. Even the increase in drive space isn’t all that attractive for the money. The increase in video memory is nice but 256MB should be all you need for smooth Exposé performance on the 15″ 1440 x 900 display. Our recommendation? If you’re going to upgrade your notebook in another 1.5 – 2 years anyways, pocket the $500 and don’t bother with the added cache. It’s not going to do much for you today.